A third person shooter about a Hobo trying to survive waves of Zombies in search for the cure! A Hobo wakes up one morning and realises that something is wrong, he realises that everything is quiet, he has not received the money he used to get every morning, suddenly a bright light shines upon the hobo, a letter falls from the heavens and his walking cane was next to him. It was a message from an unknown entity as it said the hobo was the last surviving human and something has triggered a cell in normal humans that lived a normal life. Play the game and see what the story holds in for you. Rise from the bottom up with hobo as a hero. 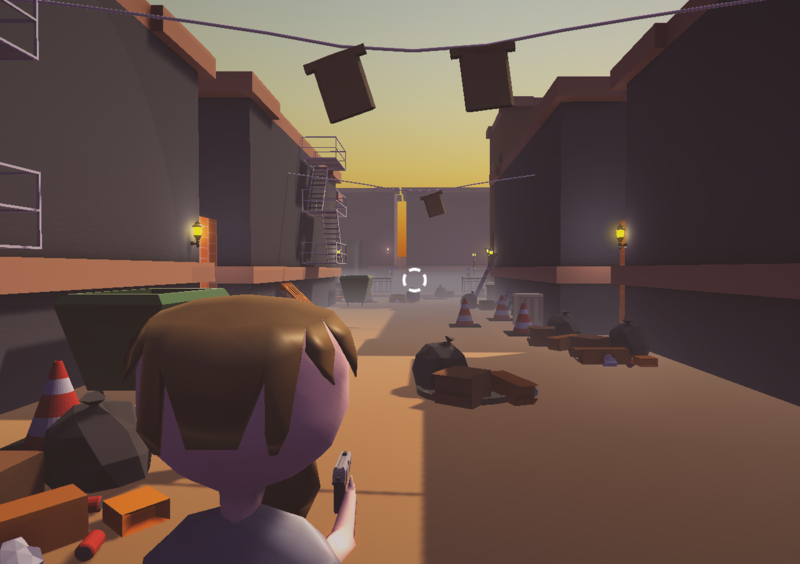 Dig in garbages to survive and hit zombies, stab zombies, blow them up, and shoot them down and collect the goods they drop which allows you to buy your epic gear. Survive the city and get into the story with the hobo and think about how it feels having one way to live and that is to find the cure and get to the lab to save humanity, but the story isn't all to the game, minigames await in this world where the hobo has to survive against the challanges or you can survive against a endless wave of zombies and brag about what wave you completed. Buy your gear and get your hobo as strong as ever. He lived a hard life, so doing this mission for the cure is making him even stronger. We are ready to hit 2017 with everything we have!